Why would I need self storage in Middletown, NJ? There are a variety of reasons why you might need self-storage in Middletown, NJ. How much is a storage unit in Middletown, NJ? The cheapest storage unit in Middletown, NJ is $78.00 per month. What size storage units do you have available in Middletown, NJ? In Middletown, NJ we have sizes that range from 5'x5' to 10'x15' to suit your storage needs. How much is it for a 5'x5' storage unit in Middletown, NJ? The cheapest 5'x5' storage unit in Middletown, NJ is $78.00 per month. 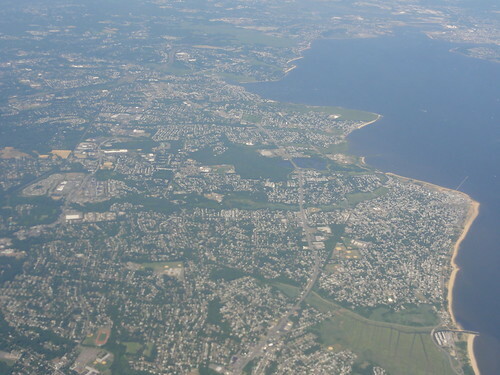 Middletown is a large township in New Jersey's Monmouth County, with a footprint of 42 square miles, that's home to a growing and diverse population. With its low crime rates, well-rated schools, convenient location and rich culture, Middletown has received national recognition as a great place to call home. It's been honored with several titles and awards, including a place on both CNN's and Time magazine's "Best Places to Live" lists on several occasions. Settlers began arriving in Middletown as early as 1665, making it one of New Jersey's oldest European settlements. Formal records for the town were started in 1667, and these records have been called the most extraordinary historical documents in the county. Residents of the town clashed during the Revolutionary War, resulting in a community divided. However, this didn't stop the town on its path of growth. Several railroad lines started coming through the city in the late 1800s, and while they didn't lead to significant increases in the population, they did help businesses thrive. In the 1960s, the town adopted its first master plan, which sought to create awareness of the open spaces throughout the area and help city officials use these spaces better. You'll find that there are a number of benefits to being a resident of Middletown. The area has more than 70 parks, a number of youth and senior programs, and various adult education options. With several recreational and cultural facilities, including the Middletown Town Hall Main Complex and the Middletown Arts Center, you'll have a variety of activities to choose from. Middletown is a very popular community for young families, due largely to its extremely safe neighborhoods. It's been named among the top five safest places in America to raise a family and the No.1 safest in New Jersey. Also, well-rated schools attract families seeking a quality education for their children. Local events like the Indian Trails 15K Road Race and 5K walk bring locals together and help foster a sense of community. Schools in Middletown are part of the Middletown Township School District. In addition to traditional elementary, middle and high schools, the district also provides a few other options, such as High Technology High School or Marine Academy of Science and Technology, the area's two public magnet high schools. There are also a few private schools in Middletown, serving students in grades K-12 and providing both faith-based and secular options. Utilities: Middletown's primary utility providers are New Jersey Natural Gas, Jersey Central Power & Light, New Jersey American Water and the Township of Middletown Sewerage Authority. Garbage and Recycling: You'll receive a township-designated black bin for your trash. Collection schedules are determined by your home's location. Transportation: New Jersey Transit facilitates public transit service from the Middletown station, providing easy access to major cities in the area, including New York City. Although homes in Middletown are slightly expensive when compared with communities of similar size in the U.S., they are actually priced reasonably for Greater New York City. Easy access to New York City and other major metropolises has led to Middletown's growing popularity as a commuter suburb, so prices are rising. However, the township has a large and varied housing market that provides plenty of options, so you should be able to find something to fit your needs. Our lowest priced units in Middletown, NJ average $78.00 per month. 51 people have reserved units in Middletown, NJ in the past 30 days. There is 1 location within Middletown, NJ's city limits. There is 1 location in Middletown, NJ that offers AC and Heating features.